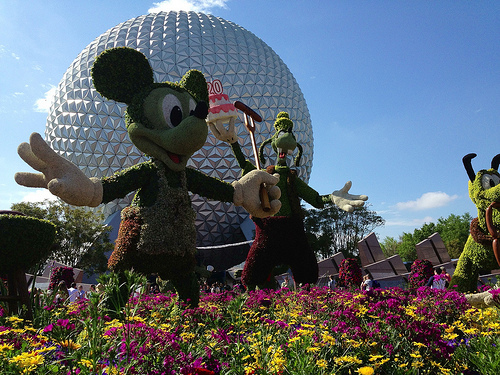 EPCOT Flower and Garden Festival – I’m here! EPCOT Flower and Garden Festival – I’m here!, originally uploaded by Erin *~*~*. I purposely arrived hungry because this year the Flower and Garden Festival features food kiosks, like Food and Wine Festival. So here I go – off to seek more culinary adventures. What are you waiting for? Lets go!